In high school and college I would pick a book in library and even when I loved the title and author I would still look for the little penguin on the cover to agree with my choice. That penguin to me was the hallmark of best literature, I don't know why I felt that way, but it always proved right. I read many stories of struggle and watched movies of great people who went through lot of rejections before they became who they are but when I actually met some publishers no inspiration saved me from throwing away my manuscript and forgetting my dream of becoming a writer in Bhutan. I was then in college and fully in love with my short stories but overnight I knew I could never become one in Bhutan. I discovered that the big names of publishers I saw and heard were not actually the kind of publishers I romanticized, they are not lovers of literature and books, they don't have editors, they don't even read your stories (could they even read? ), they are just publishers in strictly technical terms. They are mere contractors who make money out of printing bills, cash memos, calendars, and any government documents they get. The only books they are interested in publishing are guide-books and solved-question-papers because these sell well among students. Now, we have a Penguin of our own, Riyang Books is just launched and I am already calling it Penguin without a doubt. It's the answer to my long forgotten question: Why don't a literature lover become a publisher? Riyang Books is founded by one of Bhutan's foremost writers, known across the world for her novel Circle of Karma, Ashi Kunzang Choden and her family. With the birth of this publisher I can already see the possibility of becoming a writer if you have the gift of writing, and I also feel secured that no rubbish will be published. I welcome Riyang Books with hopes and dreams, that someday I see shelves of Bhutanese authors with that blue Riyang Books logo, and that I can just pick any book from Riyang with the assurance that it will be a wonderful book. Thanks for sharing, Passu sir and hopefully we will see more Bhuatanese writers and hope that Riyang Books will help them as it is established by one of the foremost writers of Bhutan. Thanks for sharing Passu Sir. I didn't read any Bhutanese novel. I am really looking forward to reading it while I reach Bhutan. It will be amazing! Can't wait!!! May be soon, we can read Passu sirs stories published under the banner of Riyang Books. Thanks for the light you have shown regarding the existence of such a Publisher. 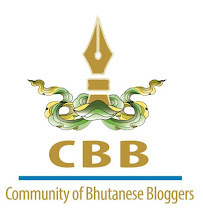 It is really a relief to know that at long last we have a Bhutanese publishing house. Like you even I have a few short stories which I want to publish into a collection of short stories, but did not know whom to approach. Last time(almost two months ago) I mailed Riyang Books and I am yet to receive a word from them.